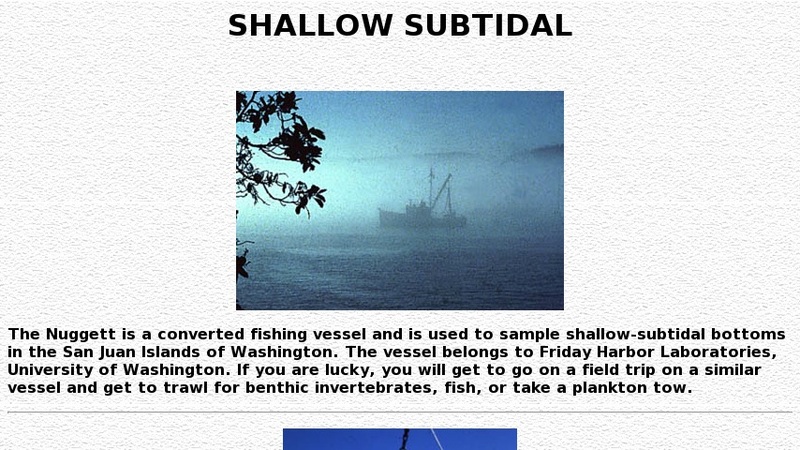 Description of some of the organisms found on shallow subtidal bottoms off the coasts of Washington. Good pictures and highlights on common invertebrates species, with scientific names provided. Special emphasis on evolutionary adaptations and interesting physiological issues. Information on sampling devices also included.